Probably because I am a teenage girl who spends the majority of her free time seeing movies, I get really excited when I see a trailer for a romantic comedy. 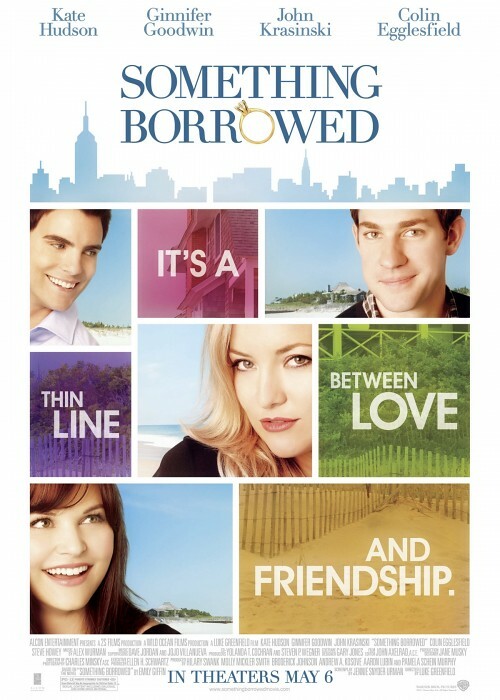 This movie had promise- cute John Krasinski, some other hot guy, generally entertaining Kate Hudson, and personal favorite Ginnifer Goodwin, all wrapped up in a silly plot about best friends and the man they both love. But I was sadly disappointed. Friends have disagreed but I found the film unrealistic and frankly, depressing. Simple summary of the movie is this: Goody two shoes lawyer Rachel (Goodwin) is in love with her best friend Darcy's (Hudson) fiancée, with whom she went to law school with. She waits around for him to tell her she's his one true love, while lying to her best friend since childhood about having an affair with him. Is there not any other man in New York for you Rachel? You have to steal back your true love from your best friend? High point was Krasinski being adorable and sweet as always. Don't go see it. But in a few months, when you are at the video store in your sweatpants looking for a typical romantic comedy, by all means, rent it.